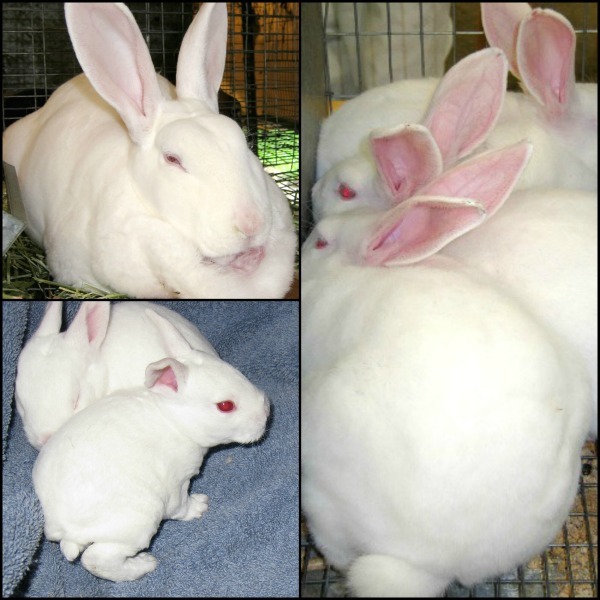 The Rabbit Care Section serves all who have rabbits: Show rabbits, pet rabbits, and livestock rabbits, breeders and pet owners alike. 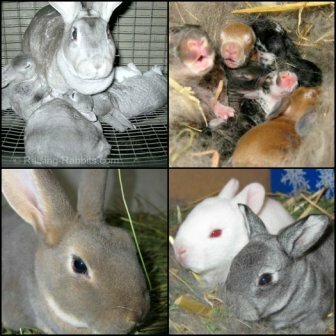 Most of the time, rabbit raising involves similar animal husbandry practices independent of the purposes those rabbits serve, whether meat, fur, fiber (wool), or pet. Livestock rabbit farming, especially if a commercial enterprise, requires greater attention to detail. Various breeding, feeding, and lighting practices are optimized to help stabilize general and wintertime production. As always, animal welfare is paramount. 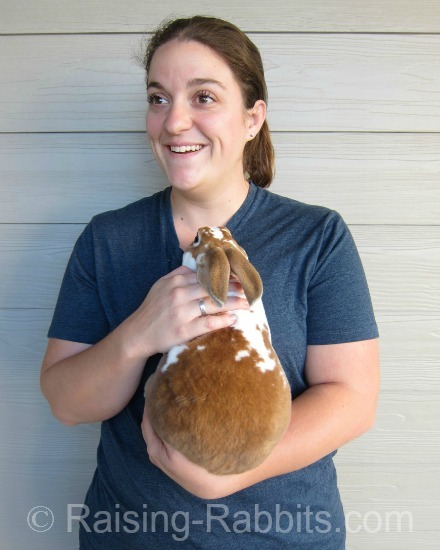 Gain full or part-time employment from your passion and expertise with raising rabbits, both in the USA and in developing countries. Pet Rabbits and Pet Rabbit Care, Bedding, Toys, Enjoyment, Etc. Pet rabbits can be a perfect solution for animal-loving but busy urban dwellers. They sleep while you're at work or school, and are active during your breakfast, suppertime, and early evening. With 48 breeds of domestic rabbits available in the USA alone, the choices are nearly endless. NOTE: Cages and certain rabbit supplies have been removed from our store, however we hope to be able to re-stock the store soon; check back later! 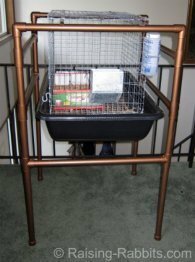 Indoor hutch and wire cage combo. Easy to keep clean and easy to enjoy your rabbit! 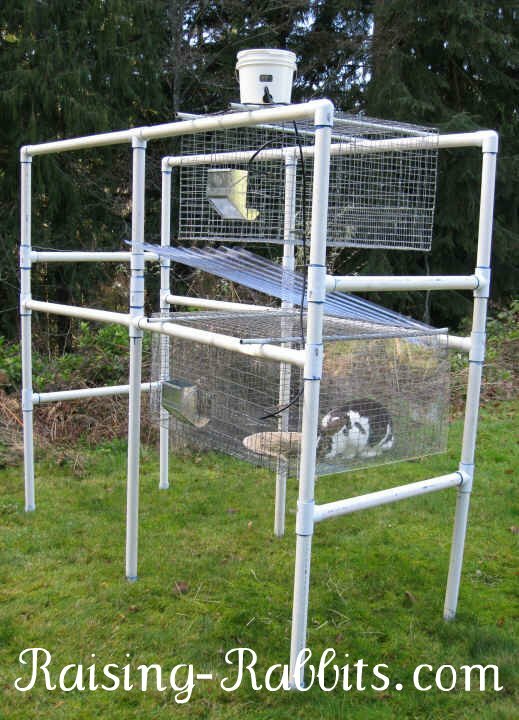 Outdoor show or livestock rabbit hutch and wire cage combo. This hutch is moved under cover before the rabbits move in. 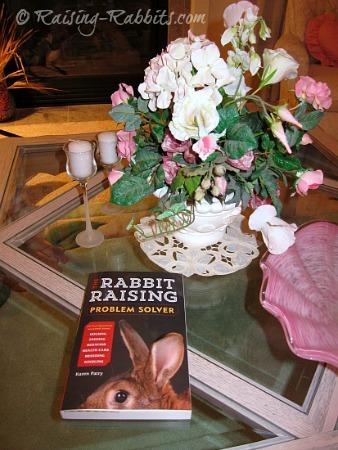 resource, go to Rabbit Raising Problem Solver. Raising-Rabbits Facebook page - Visit, post, and if it's true, 'like' us! Additionally, we have Facebook comment forms at the bottom of every one of our website pages. Let us know how it's going for you, and share photos of your rabbits! "I just would like to say that this website is AMAZING! I am a veterinary nurse with 15 years experience and have just started to breed my rabbits. I have learnt sooo much from all the info here....there is so much stuff I didn't know...."
"Your website has been my Bunny Bible...."
"Best rabbit website anywhere on the net! ...Thank you!" "Thank you so much for a fantastic website! This is by far the most helpful and friendliest rabbit website I've ever seen." Many more of your kind words here - thank you! Rabbits have a way of hopping into your heart and putting a grin on your face. The American Rabbit Breeders Association recognizes and supports the many purposes of rabbits, including meat, show, wool, fur and pet ownership. 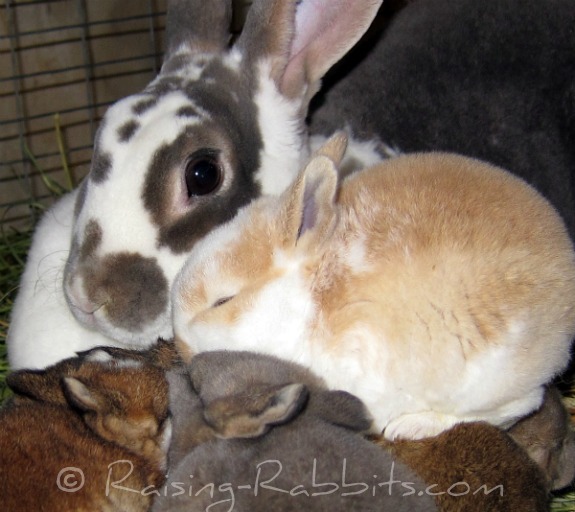 Take your time, enjoy our rabbit photos and absorb all the information on raising rabbits. If you have trouble finding the info you need, use the search box, or visit the Site Map, where you’ll find links to every page. Have any other questions about raising rabbits? Feel free to drop us a note via our Contact Us page, or visit the Raising-Rabbits Facebook page, where you can post comments, questions and photos. Here’s hoping your nest boxes are always full of show-stoppers. Pictured: Broken Opal Rex Rabbit and 3 week old litter ... that little fawn young'n? He grew up a bit, and won his new young owner a Youth Best-In-Show! More recently, the fawn youngster is all grown up. He won Best of Breed TWICE at the Evergreen Rabbit Breeders Association double show a couple years ago. Congrats to the winner!